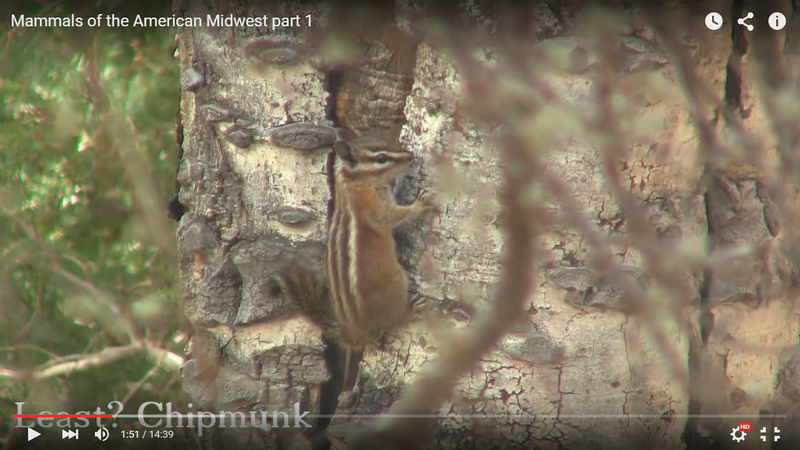 Home 2015 October 31 Chipmunk ID’s help wanted! 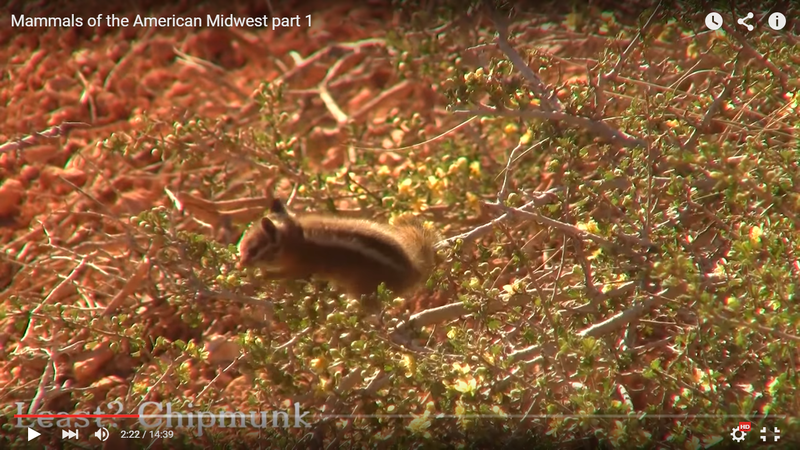 Back in 2013 I did a big roadtrip, seeing nearly 50 mammal species. 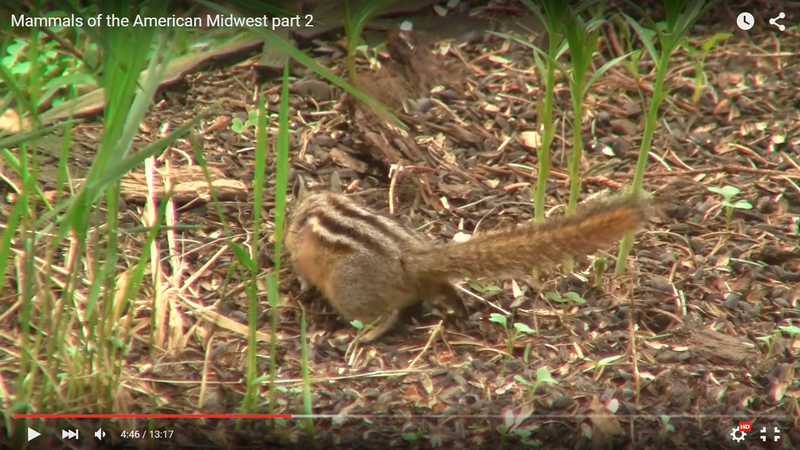 Around half of them were squirrel species. Many chipmunks were seen, but I´m not sure which exactly. Two different individuals. Filmed at the northern rim of Grand Canyon National Park. Least or Uinta? Two shots of the same individual, very small. Filmed at Bryce Canyon National Park, Utah. 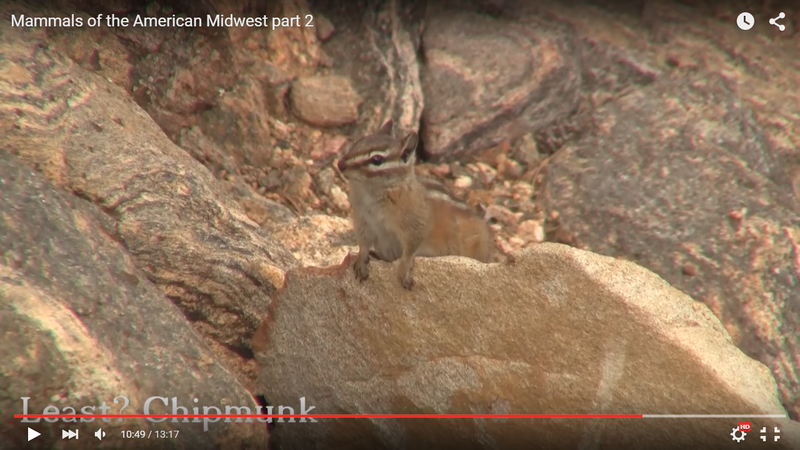 This looks like a Cliff Chipmunk to me, filmed at Arches National Park, Utah. 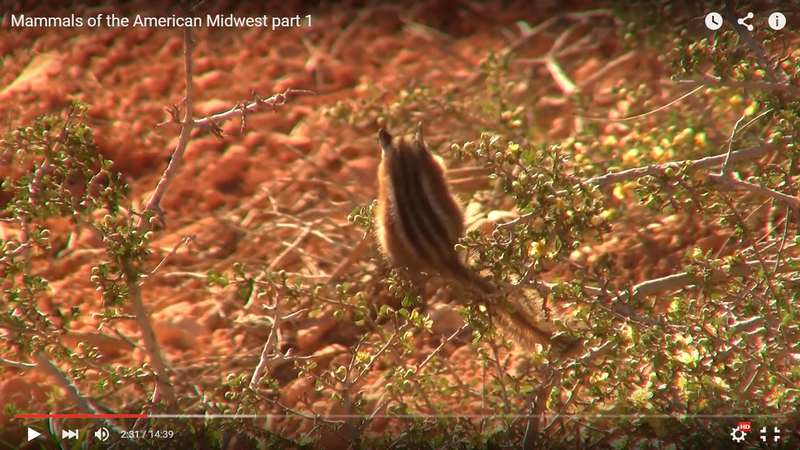 Two shots of the same individual, filmed at Arches National Park. 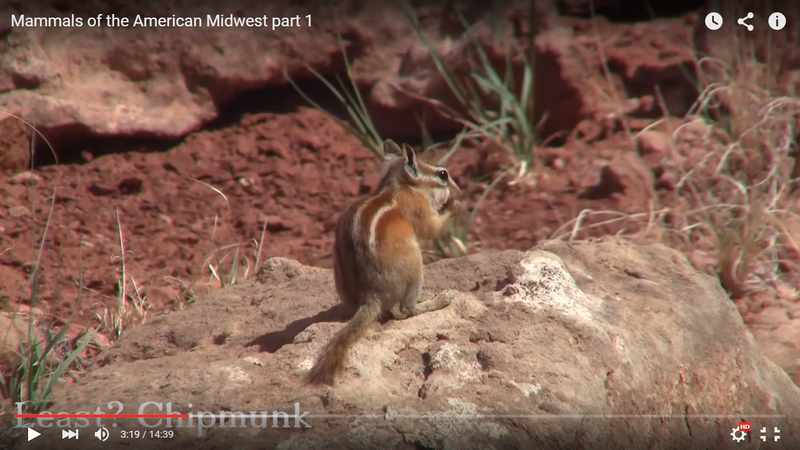 Hopi Chipmunk? Pinedale in SW Wyoming. 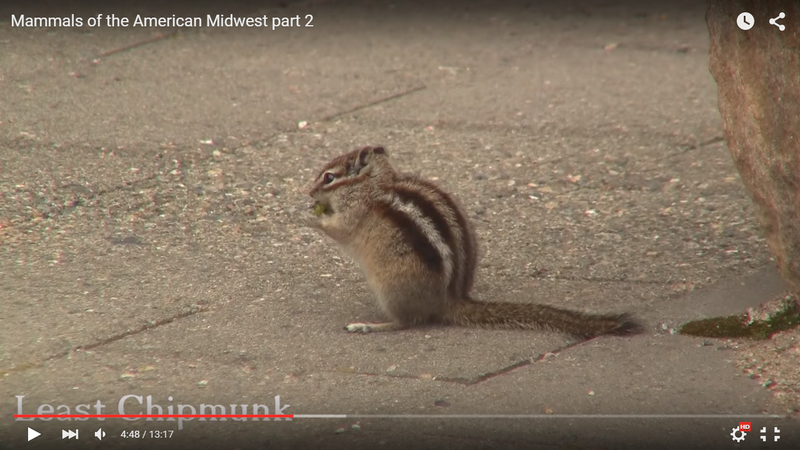 I think the only possibility is Least Chipmunk? Two shots of the same individual. Filmed in extreme NE Yellowstone National Park, Wyoming. 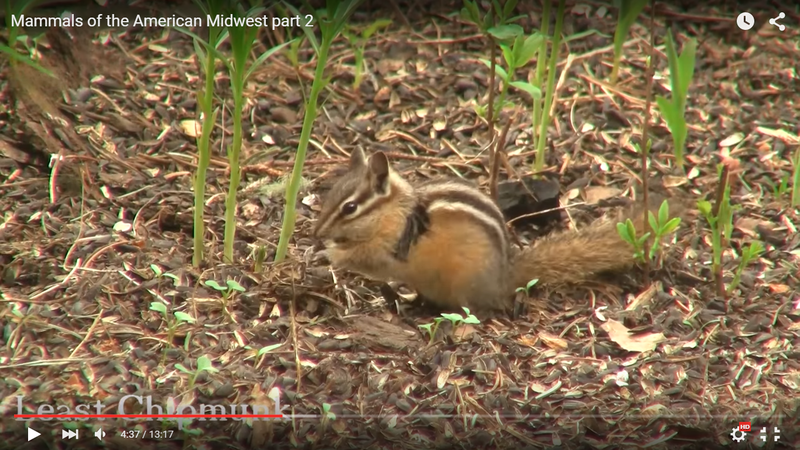 Least Chipmunk? 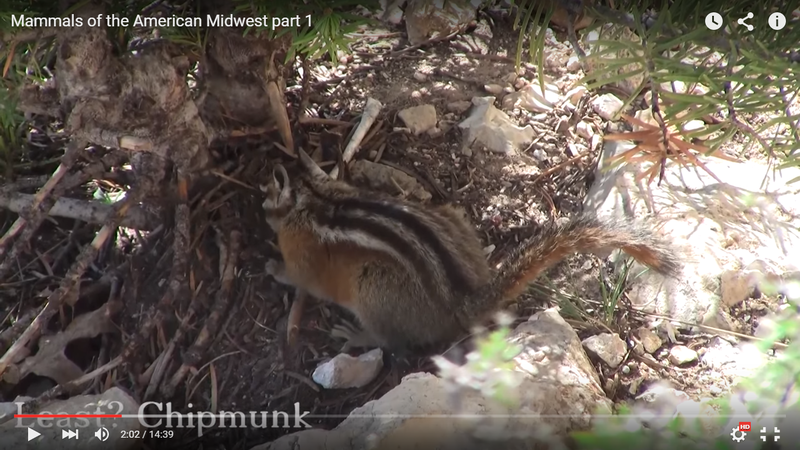 Filmed in S Yellowstone National Park, Least Chipmunk? Filmed at Medicine Bow National Forest, SE Wyoming. Filmed in Rocky Mountains National Park, near Denver. I hope people can help me out! The first two are Uinta (Least have a black stripe below the white stripe on the side). The one from Bryce is baby Uinta for the same reason. 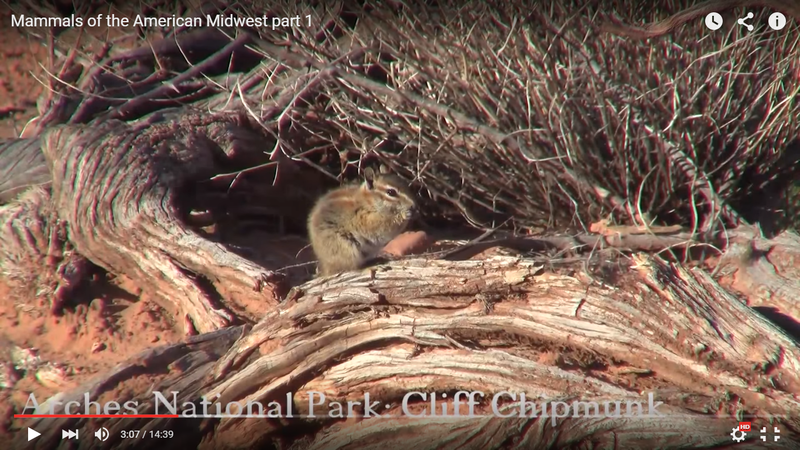 I think all three Arches chipmunks are Hopi (Cliff Chips usually have dark eyestripes). The one from Palmdale looks like a typical Least from the interior. The one from NE Yellowstone is more likely a Yellow-pine (black side stripe too weak for Least, too strong for Uinta). 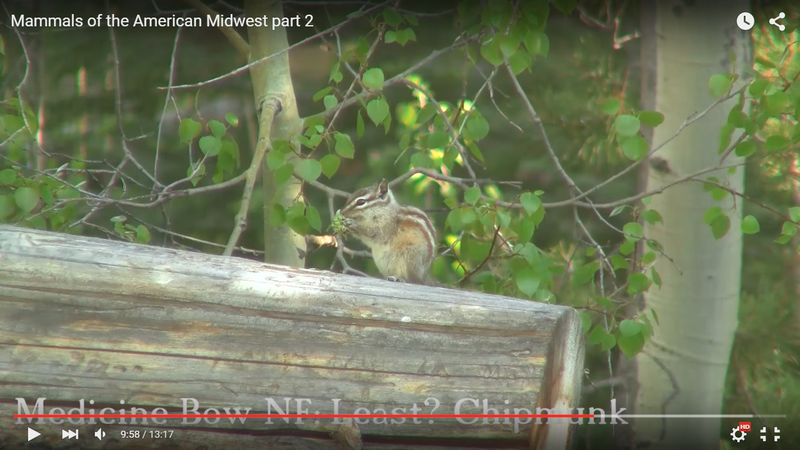 The ones from S Yellowstone and Medicine Bow are Least Chips (but clearly different subspecies). The last one is tricky: both Colorado and Uinta occur in RMNP, and are similar. 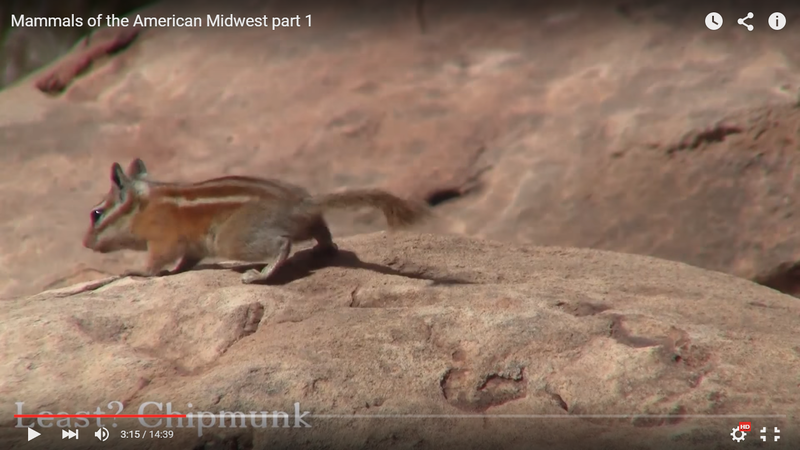 On one hand, Colorado would have darker stripes, on the other hand, red on the sides seems to go almost all the way to the tail, which is unusual for Uinta. What part of the park was it in? Uinta chips are mostly at high elevations there. Thanks again for your help! Yellow-pine came as a surprise! And the fact that I’ve seen more Uinta then I thought (and conformed it). 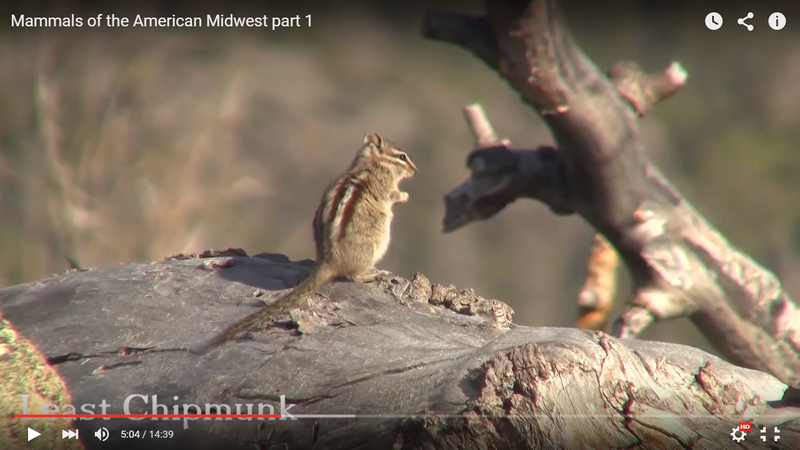 I was thinking of a Cliff Chipmunk because it looked very grey tot me, going up its flanks. When looking in Mammals of North America (Kays and Wilson) it states identifiable by pale grey back. It is unusually grey for Hopi, but note that field guides usually discuss only summer pelage, while winter coats tend to be grayer. Perhaps it was still moulting? The ones at pullouts on the road to the pass in RMNP are Uinta chips.